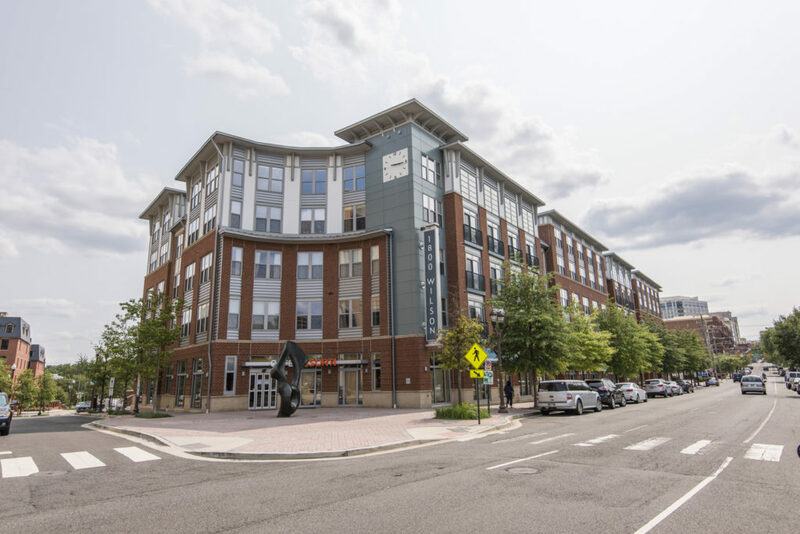 1800 Wilson Condos in 2 sentences: Located halfway between the Rosslyn and Courthouse neighborhoods, 1800 Wilson is perfectly situated for convenience of living and is a short proximity to Georgetown and DC. 1800 Wilson is unique from other condos because of its live-and-work units, its many loft-units, and its smaller, more intimate luxury community vibe. 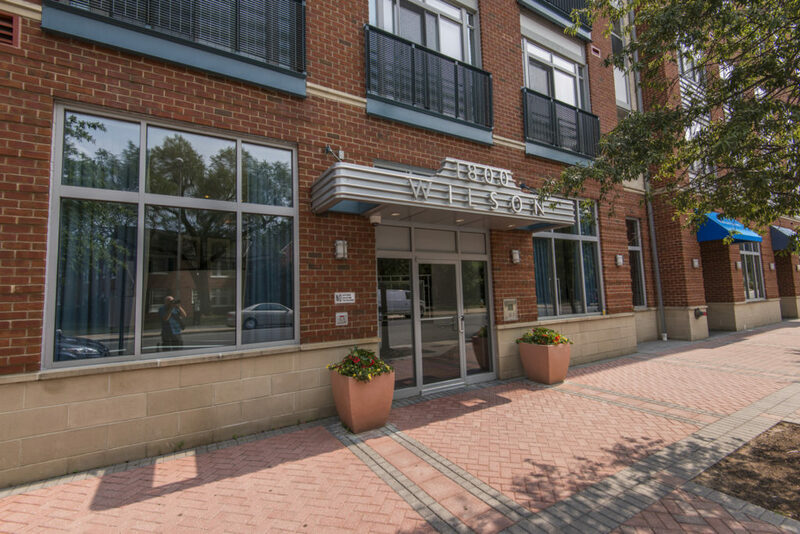 As you may have guessed, 1800 Wilson is located at 1800 Wilson Blvd in Arlington, VA. It was completed in 2006 by The Holladay Corporation. 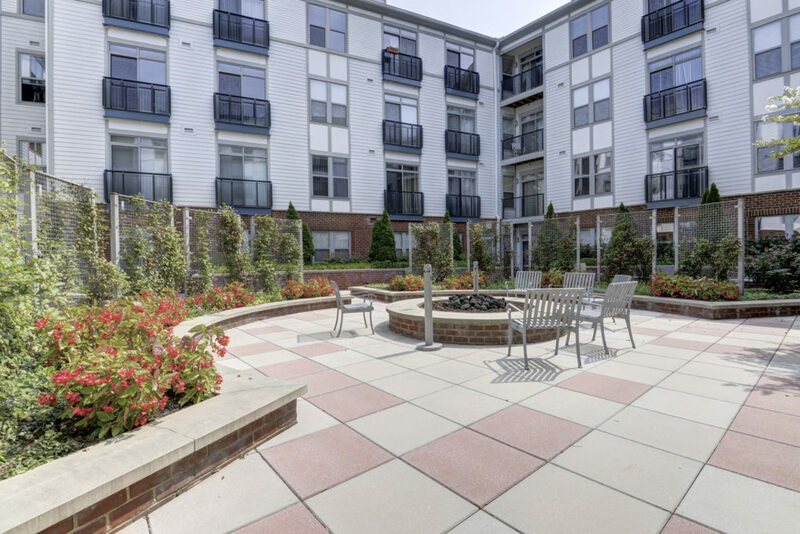 Staying in the community, The Holladay Corporation also helped to build the Clarendon 3131 condo in Clarendon in 2010. 1800 Wilson features ground floor retail and live-and-work units to go along with your typical condominium residence. The building is four stories tall and contains 153 total units. 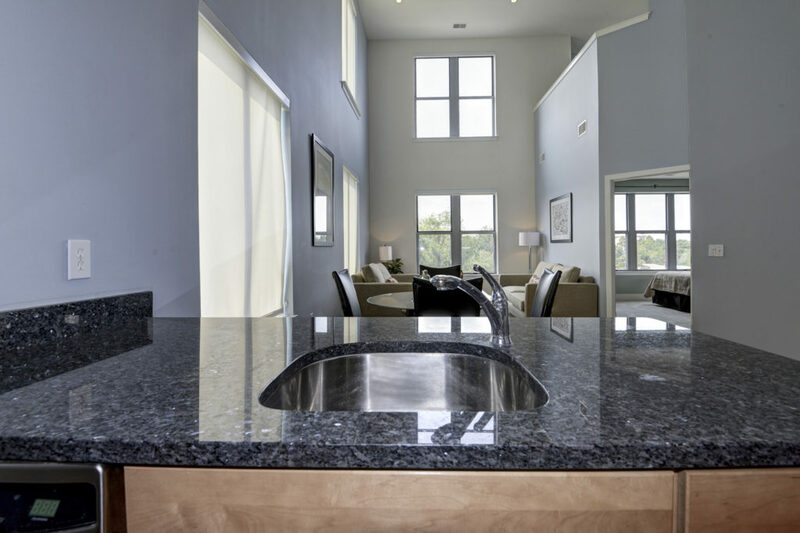 This residence stands out by offering two-story loft units on the first and fourth floors. 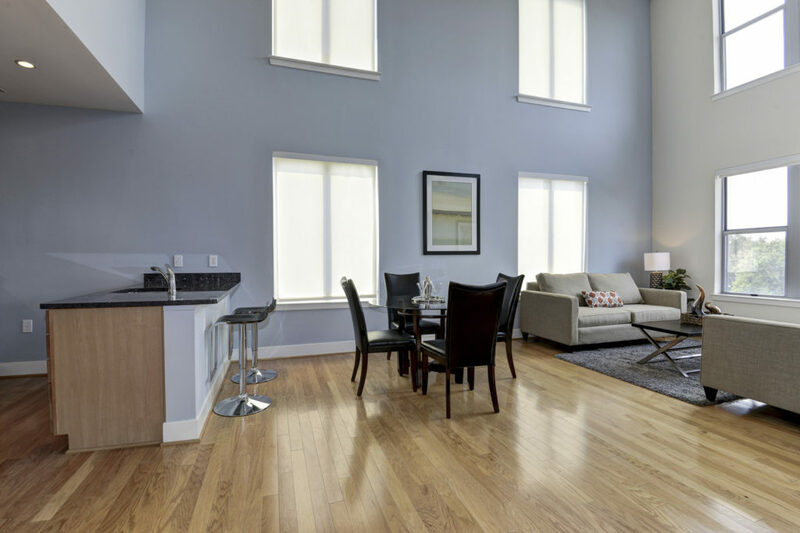 Not many other condos in Rosslyn (or Courthouse) can offer two-level living spaces. 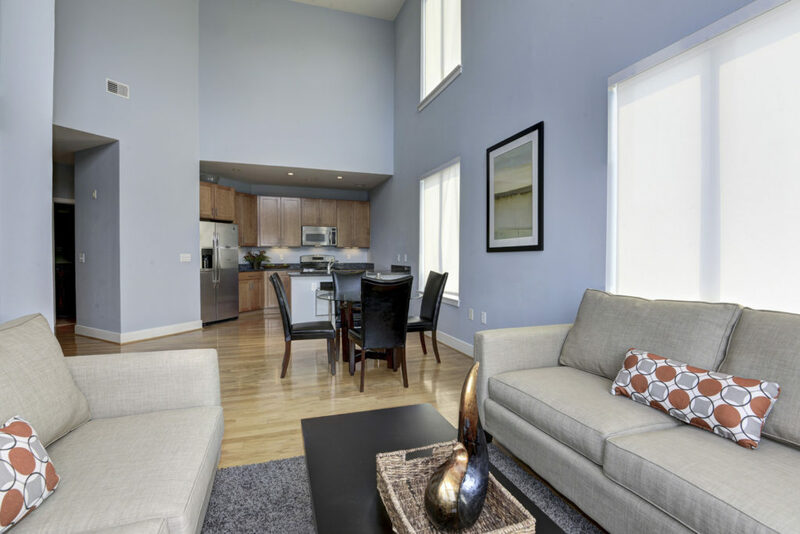 Terrace Lofts and Woodbury Heights both have condos for sale that are two-stories, but after that, the list in this price point drops off significantly. The condominium is also unique in that it offers live-and-work units on the ground floor. 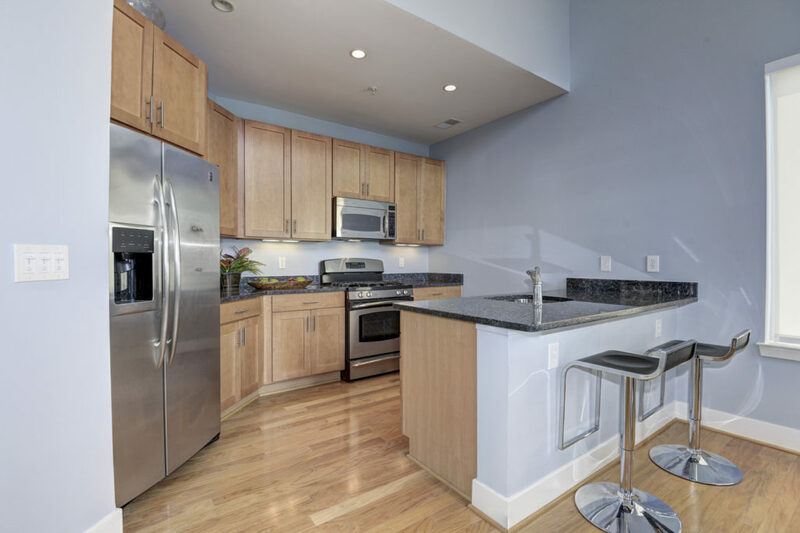 These units have storefronts, while still accommodating personal life on the second loft level. 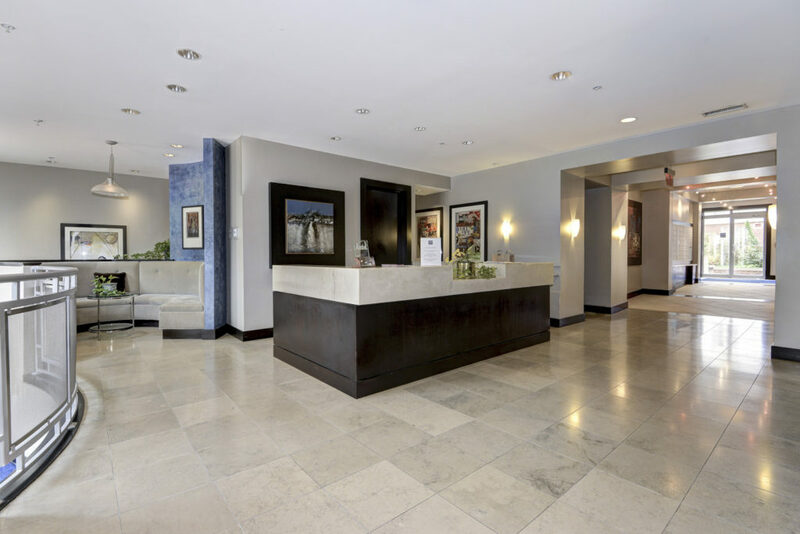 The community is a luxurious, and well-thought out building. The complex wraps around an outdoor courtyard that features a fire pit. 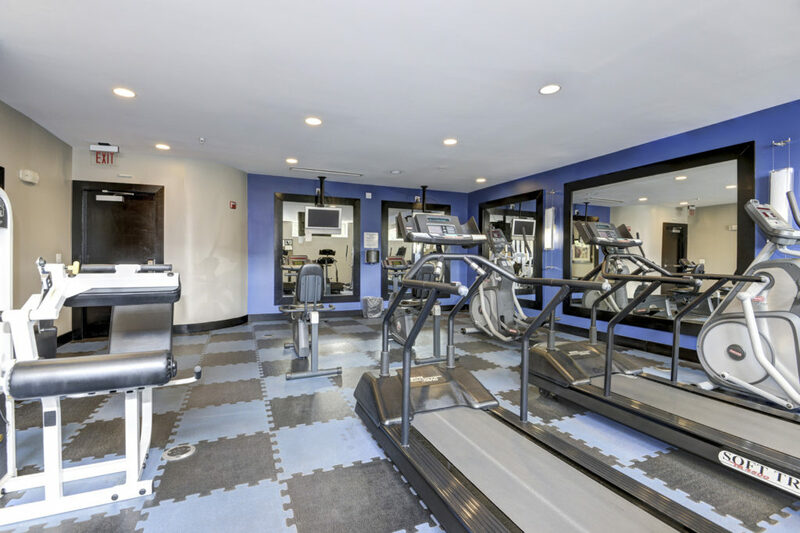 Other amenities include a fitness center, a party room, and front desk staff. 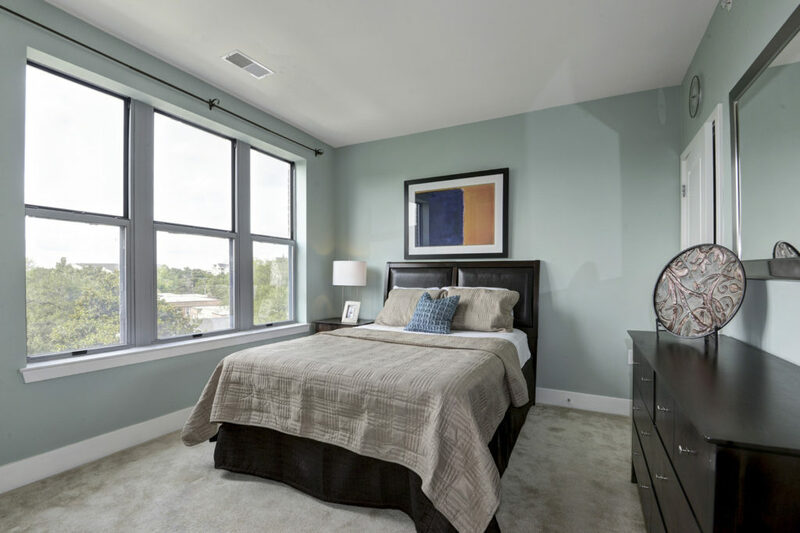 The one bedroom layouts offer open living that may include a balcony, or a terrace or outdoor space for select residences on the first level. The side of the building overlooking the courtyard is usually quieter, but if you are in a condo on the outer ring of the building (facing the street), you will tend to get more natural light. Interiors will feature luxurious touches throughout each residence. 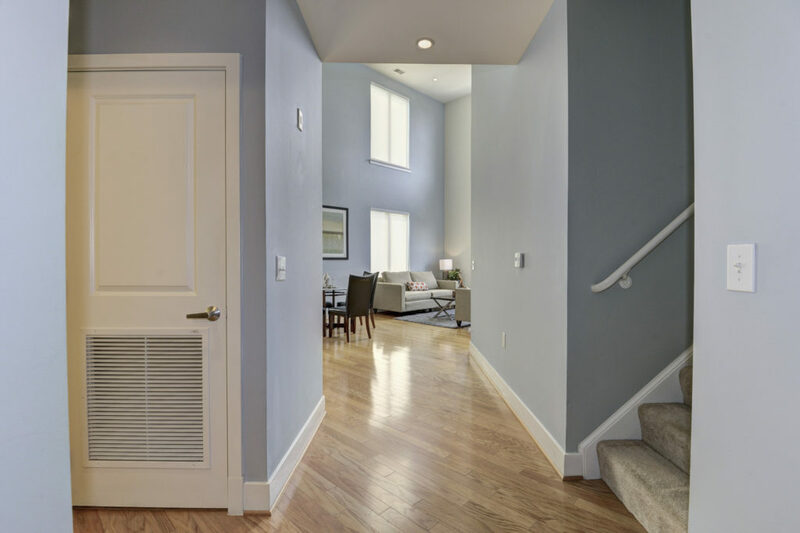 Condos come equipped with gas cooking, most feature hardwood floors, and tall ceilings are also a theme throughout the community. Loft units will have 18-foot ceilings in the living space. 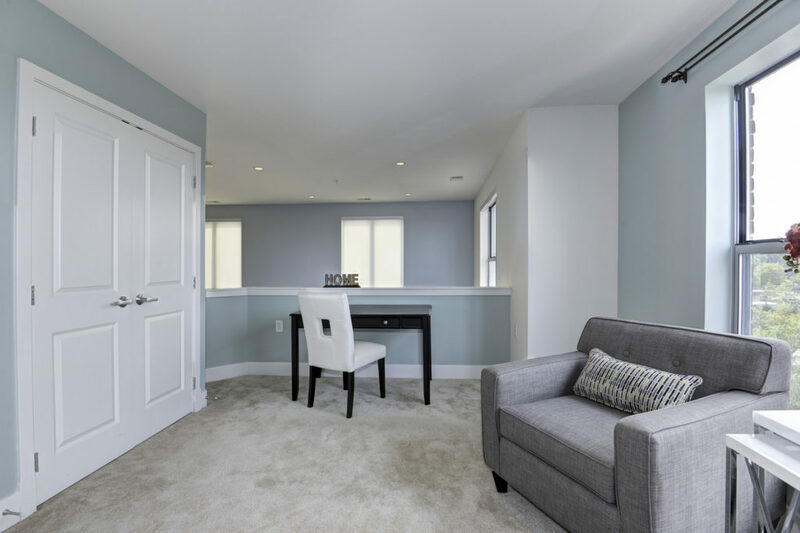 The larger 2 bedroom + loft layouts are perfect for those looking for a home office, guest bedroom, or simply a third space for a hobby room, reading room, or something of the like. The community at 1800 Wilson is opposite that of The Odyssey. While The Odyssey is a high rise in Courthouse with over 15 stories, many amenities, and an active community, people choose to live at 1800 Wilson for the exact opposite reason. 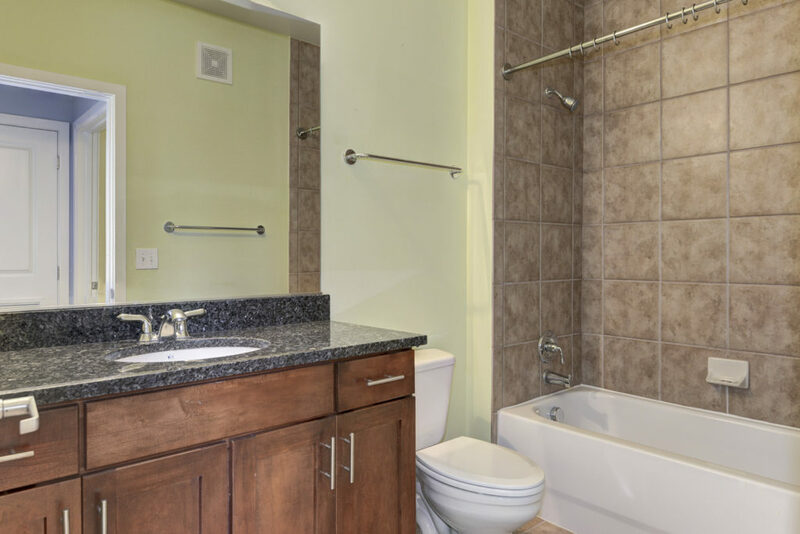 There is a little more privacy, you are not spending condo fees on amenities that you may not use, and the community life is a lot less publicized. Not to say that there is nothing happening at 1800 Wilson, because that it certainly not the case, but the community is a little more low-key compared to the hustle-and-bustle of the high-rise lifestyle. 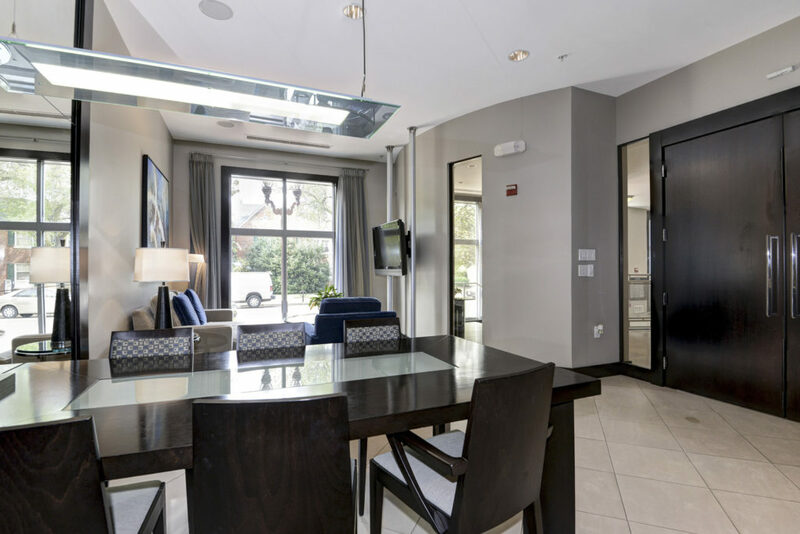 1800 Wilson is great for those looking for a little peace and quiet at home in an upscale residence while being conveniently-located along the main strip of the Rosslyn-Ballston corridor.